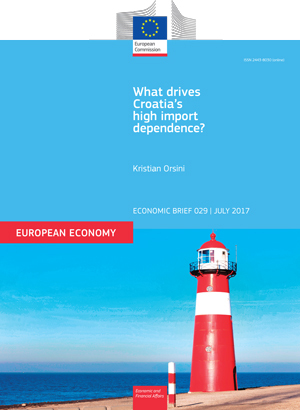 What drives Croatia's high import dependence? This paper takes a close look at the drivers of imports in Croatia and the role played by the country's tourism sector. Economic Brief 029. July 2017. Brussels. PDF. 20pp. Tab. Graph. Bibliogr. Free. European Economy Economic Briefs are written by the staff of the European Commission’s Directorate-General for Economic and Financial Affairs to inform discussion on economic policy and to stimulate debate.